VU-IJSR is a double-blind peer-reviewed international open access journal of the South Valley publication center. The journal publishes original research articles and reviews articles related to all areas of Veterinary Sciences. Coverage in the journal includes subjects related to the basic and clinical aspects of Veterinary Sciences; Anatomy, Histology, Physiology, Biochemistry, Parasitology, Pharmacology, Microbiology, Pathology, Food Hygiene and Control, Forensic Medicine and Toxicology, Animal Medicine, Poultry Diseases, Fish diseases, Animal nutrition, Zoonotic Diseases, Animal Surgery, Gynecology and Obstetrics, Animal Hygiene, Animal Genetics, Animal Production and experimental animal studies. Beside conventional animal-related work, interdisciplinary articles i.e. 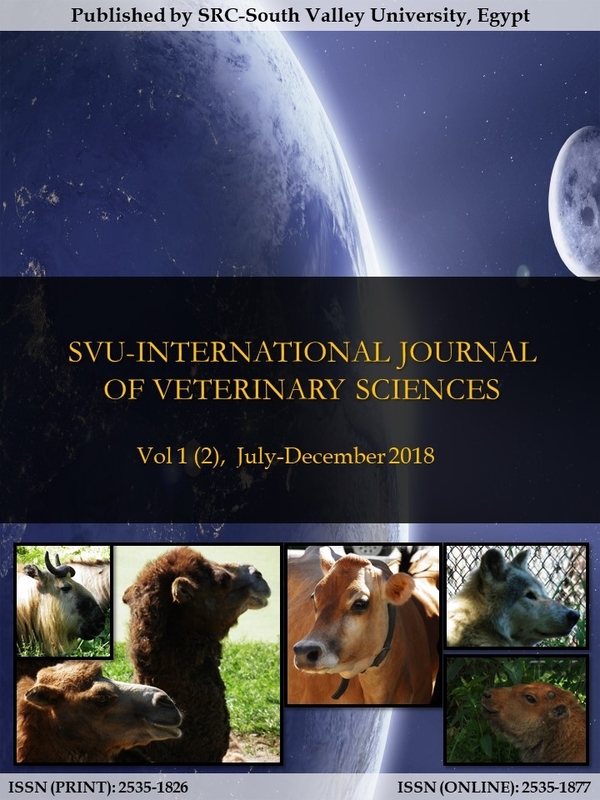 medicine, biology, bioinformatics and mathematics which may not be published by the narrow windows journals, are highly appreciated in the SVU-IJVS.